Now I don’t know about you guys, but I love makeup miniatures! They are a great way to ‘try before you buy’ and are always handy for travelling. I have accumulated a fair few over the years and thought I’d share with you my “little” stash! 2x Benefit porefessional – quite a nice smoothing primer that fills in pores and fine lines. These came in some of benefits box sets, I love being bought these as gifts! Smashbox Primer – Again a really nice silicone based primer, that since posting about in my 14 Days of Makeup Favourites, I have really been reaching for! I got this free from Smashbox as a sample, I love me a freebie! Clarins Instant Smooth – I have posted about this recently in my favourites so I won’t go on. This was a gift with purchase! MAC Prep & Prime – I really am considering buying the full size of this as it makes your skin look lovely and glowing! MAC were sending these out for free so I thought it would be rude not to accept! Urban Decay Primer Potion – I love this so much, it really seals my eyeshadow onto my eye lids, I bought the travel size rather than the full size to save money and this is honestly going to last me a lifetime! Benefit Oxygen Wow – This came in a really nice base set, which gives you a trial of a lot of different bits and pieces. I wrote a review about this yesterday so you should take a looksie! Estee Lauder Double Wear and Double Wear Light – Estee Lauder counters are great for giving out freebies. There is no pressure to buy and they really look after you. I find that they are more than happy for you to try as many products as you like and they are always nice and chatty! Benefit Boi-ing – This came in the same base set as the foundation and is great as it has two different colours in which is perfect for blending the right colour. Benefit Watts Up – This came in my blush set and is really handy for on the go, it also doubles as a cream eyeshadow too. A great multi purpose product for on the go! 2 x Benefit High Beam – These have come in various sets. I have to be honest and say it’s not my favourite product as I struggle to blend it but it’s not awful! Benefit Posey Tint – I really like this for lips rather than cheeks, it gives a great pinky shade which lasts for quite a long time. Benefit Bene Tint – I have loved this for such a long time now, I like to apply it before putting on red lipstick which mean that when your lipstick fades, there is still a nice stain underneath! Max Factor Miracle Touch Creamy Blush – This was a gift with purchase and is a great little product, easy to blend, nice colour and it was free. What more could you ask for? Benefit Hoola Bronzer – A lovely matte bronzer that is the perfect size for on the go makeup bags! 17 Cream Bronzer – This is way too shimmery for a bronzer so I use it as a very subtle cream eye shadow. This again was a gift with purchase freebie. Benefit Cream Eyeshadows in My Two Cents and Birthday Suit – These were part of their neutral eyes set, lovely colours but they dry out very quickly, I probably wouldn’t buy the full sizes. 2x Benefit They’re Real Push Up Liner – These were both freebies, one from benefit themselves and one from a magazine. I don’t mind the actual product but this is a really rubbish sample of it, you can barely get the product out! Max Factor Mini Eyeliner – Again a gift with purchase that is just a standard black kohl liner, nothing special really but a nice size for popping in your handbag. 5x Benefit Glosses – These were the glosses that matched the benefit box blushers. They’re okay, nothing special but I think they came in a nice little set all together. Bobbi Brown Lipgloss- I got this along side my shimmer brick, its lovely and glittery without looking like a child’s gloss! 2 x Benefit Lipsticks in Lady’s Choice and No Competition – These were really nice little samples that the lady on the counter gave me for free. They had a lot of product inside and have lasted forever! Clarins Instant Light Balm (Not pictured) – again a good sized freebie from the lady on the counter! I will be buying the full size for definite! Benefit Bad Gal Lash – This was in a lovely little set, i’ve had the full size before and really love it. It’s great to have it in a handy little size. Benefit Roller Lash – This came free with Elle and I really love this! I have written about this loads on this blog! 3x Lancome Mascaras: Doll Eyes, Drama, Star – I love lancome mascaras, I bought a full size of the original Hypnose and these came free with it. It was a great way to try out lancome mascaras and I love them all apart from the Star as I find the brush a bit weird. I like to store as many miniatures as I can in this cute little pot from Home Sense, I just think it looks quite sweet on my dressing table! I am really sorry if this post has been quite rambling, I just same them all together and thought I better make a post. 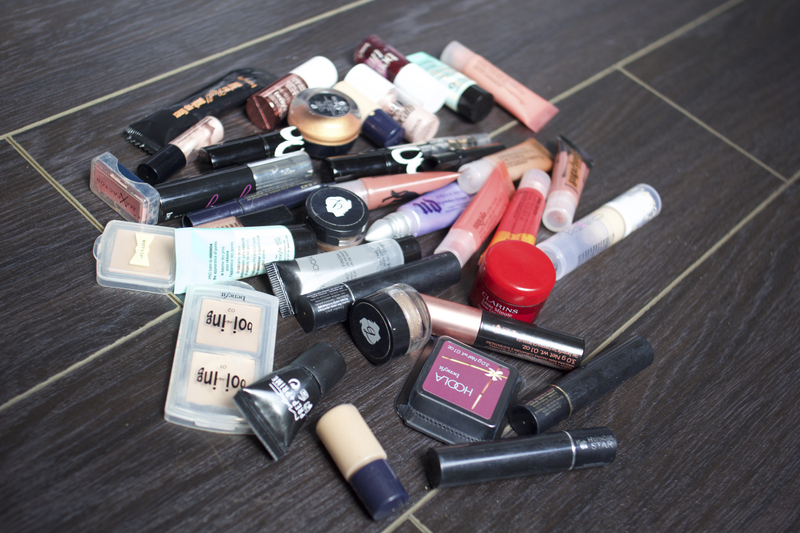 It just shows that if you ask you can get a lot of good products for free or much cheaper! I find that they last for ages too! Do you collect miniatures too or is it just me? Whats the best freebie you’ve ever blagged? P.S have you entered my giveaway?! I love beauty miniatures! They are such a great way to try out new products. I have quite a lot of Benefit miniatures, they seem to always a good selection of minis! I adore miniatures! It lets me try a bunch of products without spending a ton of money. Benefit is one of my favorite brands and I love that they always have mini versions of their products. I wish I had all those goodies! Most of mine are skincare samples! 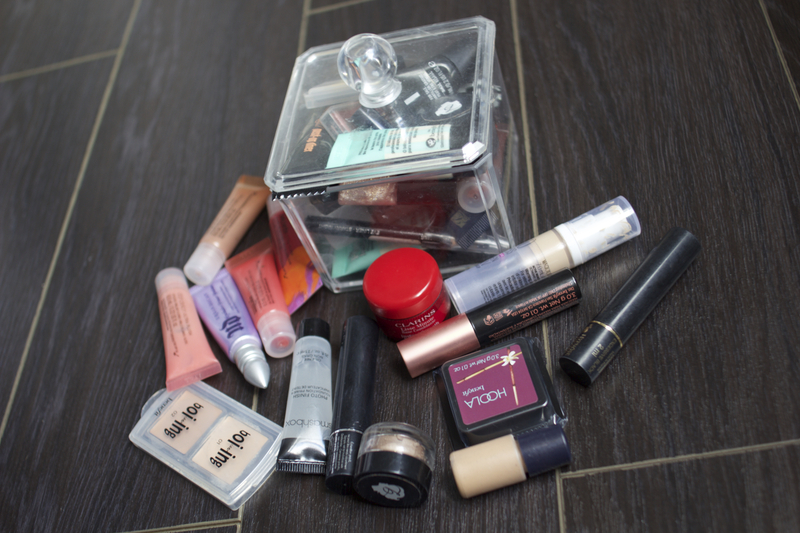 I have some makeup minis but I tend to give those away. I’m working my way through my mascara minis and will do a review of them coming up! Mascara samples are the best esp cos I don’t like mascara too much and I can try a lot of them. I haven’t had to buy a mascara for nearly a year!